hello guys. i configured my gamepad and tried to play kingdom hearts with my pcsx2 . but it doesnt seems to work with it. it can only move left and right. with my dpad. the rest of the button is okay but only Analog and d-pad is not working well.. i need help ! thanks! could you show us a screenshot of the "General" and "Pad 1" tabs oon LilyPad controller plugin? Maybe you missed something. 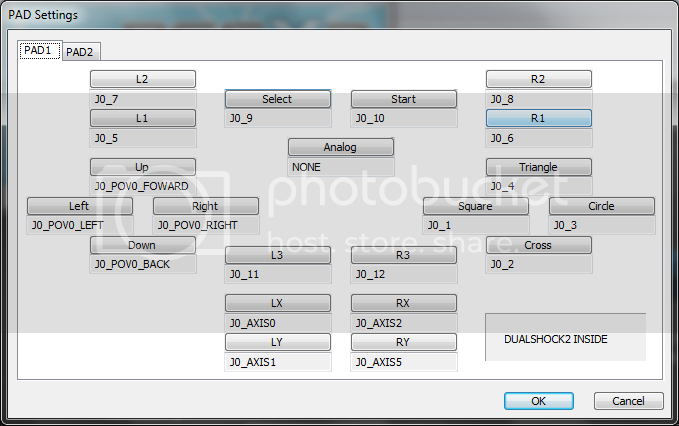 I have Logitech Dual Action Gamepad, configured it with SSSPSX PAD Pressure Mod v1.7.1[PadSSSPSX], works well for me! Just make sure you are using the latest version of PCSX2 v0.9.7 r3878. (03-30-2011, 03:23 PM)_DTG_ Wrote: I have Logitech Dual Action Gamepad, configured it with SSSPSX PAD Pressure Mod v1.7.1[PadSSSPSX], works well for me! hey. it works totally ! thanks for helping out. u guys were very helpful to me! @shadow lady. i found out what's my problem i hasnt been using the latest version PCSX2 v0.9.7 r3878. thanks for your great help guys and sorry for the trouble !